Bogaerts not here. Flight was canceled. #RedSox have had quite a few days. Verlander allowed that memorable HR by Mike Napoli in ALCS Game 3 in 2013. Last Sox to HR off him in Comerica prior? Youkilis in 2008. #RedSox: Pedroia 2B, Benintendi CF, Betts RF, Moreland 1B, Sandoval DH, Young LF, Holt 3B, León C, Hernandez SS, and Sale LHP. Tigers star Miguel Cabrera is 2 of 17 on the season with eight strikeouts. That includes 2 of 11 against the Sox with seven strikeouts. Bogaerts’ flight from Aruba sat on the runway for two hours then was canceled. Hope is he’ll be in the lineup tomorrow. So the #RedSox had the clubhouse back in Boston disinfected to combat the dreaded flu. Tigers option Bruce Rondon to @MudHens . Joe Jimenez purchased from Toledo. From games 2-6, the #RedSox have had an average of 2.6 regulars out of the lineup because of flu, injuries, bereavement leave or travel. The game is going to be delayed. 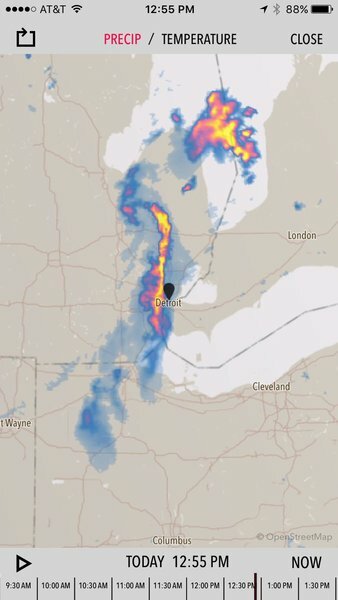 Rain about to hit at Comerica. 1:40 first pitch Tigers say. Here we go, Sale vs. Verlander. Delay was only 36 minutes. Pedroia is now 2 of 26 vs. Verlander, but only 3 strikeouts. Lots of contact without much reward. Mitch Moreland now 6 of 9 with four doubles since starting 0 for 12. Sandoval, who homered twice off Verlander Game 1 of the 2012 WS, draws an 8-pitch walk. You don’t see him that patient very often. Verlander out of sorts. Two meetings with McCann this inning. Doesn’t seem thrilled with umpire Dan Bellino, either. 1-0 Sox. Sale’s pace is part of what makes him so good. Gets a hitter down in the count and then he’s coming right back at you. 1-0 Sox after 2. Sale retired 8 straight. Then Andrew Romine, a late lineup addition when Justin Upton was scratched, doubled. He had been 1 for 11 vs. Sale. High A Salem 3B Michael Chavis (elbow) placed on DL. Not believed to be long-term, but tough start to 2017 after injury-riddled 2016. Verlander is ripped at the umpire. Stepped off the mound yelling and the infielders came in to settle him down. Sandoval had seen 16 pitches in his two at-bats. Decent chance that has never happened before. #RedSox making Verlander work (68 pitches through four). But also 0 x 6 with RISP. They have let him off the hook. 1-0 lead. Sale isn’t afraid to miss inside and load the count knowing he can drill his heater to the outside. He has it working so far. Verlander has retired 9 straight. But at 91 pitches through 6. Sox let Verander escape and now it’s 1-1. Kinsler hunted a first-pitch fatsball and got it. Sale went 12.2 scoreless for the #RedSox before allowing a run. Two outs, nobody on and the No. 9 hitter up. But the Tigers come up with a run and lead 2-1. Miguel Cabrera is 2 for 21 this season. Never expect to type that sentence. #RedSox lose, 2-1. Not a happy four days in Detroit. Game like that, makes you wonder what kind of difference Bogaerts could have made. Bradley to the DL. They hope only for 10 days. But another player down for the Red Sox. Sale said the Kinsler HR was indeed a changeup. 88 mph, which PitrchF/x read as a two-seam FB. Farrell said Sale pitched around Kinsler to get to Castellanos. Sale denied that, but he did miss pretty wide 4 times. Appears the #RedSox roster moves tomorrow will be activating Bogaerts and Pomeranz, Bradley to the DL (retro April 9) and optioning Marrero. 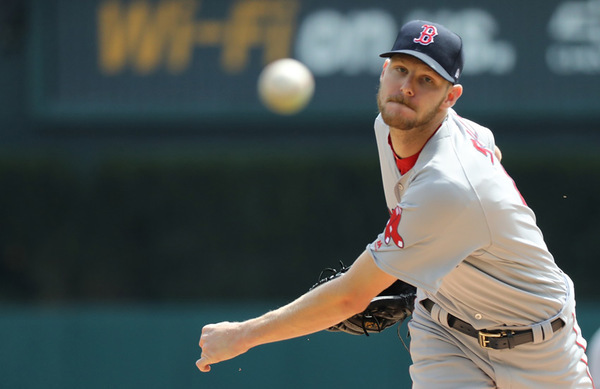 The #RedSox have scored 1 run on 8 hits during the 14.2 innings Chris Sale has been on the mound this season. And, indeed, the Sox announce that Marrero has been optioned to Pawtucket.